Miraculous Adventures is a fun way for children to learn the stories in the Bible. To help even more, each story includes coloring pages of scenes from the story. STORY 1. 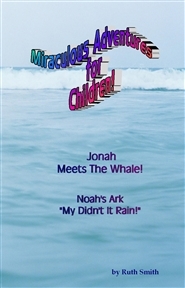 "JONAH MEETS THE WHALE"-This story is told from the whale's point of view. STORY 2. "MY DIDN'T IT RAIN?" - This is the story of Noah's Ark. Story lines are Biblically correct. Dialog? well...it could have been somewhat the same... Enjoy! 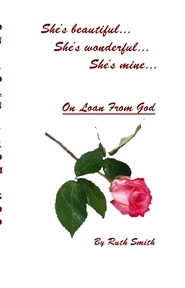 This book includes two stories - Story 1. 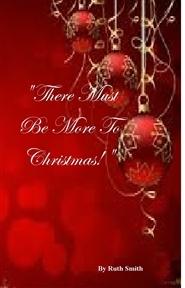 THE GIFT THAT SHOOK THE WORLD - Christmas is the happiest time of the year, and celebrated all over the world. In the middle of all the festivities, there is an excitement looking forward to that special gift, just for you, on that wonderful day. This story tells you how Christmas really began. Story 2. THE LUNCH THAT KEPT GROWING - Follow this ordinary boy, with an ordinary lunch, on an ordinary day, as he unexpectedly meets Jesus. Then watch as his ordinary lunch becomes a miracle. No wonder He would never be the same. Each story concludes with coloring pages of scenes from the story.